The Deputy President of the Senate, Senator Ike Ekweremadu, said on Tuesday that Nigeria must embrace restructuring as the surest solutions to its current economic challenges. He argued that to succeed, the country must abandon its “feeding bottle federalism “ for true fiscal federalism. 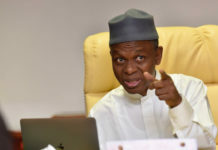 The deputy Senate President also disagreed with the views expressed in certain quarters that all the country needed was good governance and not restructuring. He spoke at the Second Annual Conference of the Young Parliamentarians Forum, which took place at the National Assembly in Abuja. He noted that the age-long culture of federating states running to the centre to ask for money monthly while resources wasted in their backyards would at best give temporary succour, but that the problem would continue. 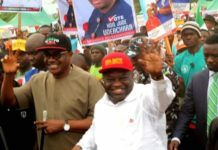 Ekweremadu added, “I disagree with those who say that Nigeria does not necessarily need restructuring, but good governance that will eliminate corruption. “The truth is that it is difficult to tame corruption where the federating units virtually run on free federal allocations that some people see as national cake, not their own sweat. “Conversely, the people will be more vigilant and ready to hold their leaders accountable when the federating units begin to live largely on internally generated revenues and their sweat. 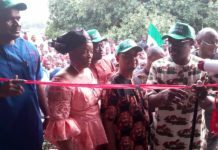 He urged the nation’s youths to take active part in the affairs of their political parties. 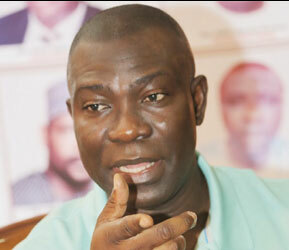 Ekweremadu added, “We need to reinvigorate the youth arm of our political parties as in the days of the First Republic and pre-independence era when vibrant youth movements and arms of the political parties thrived and served as platforms for political apprenticeship for aspiring political leaders. “Unfortunately, there is little we can do about meaningful youth economic inclusion and employment until we restructure our behemoth federalism. A member of the House of Representatives and National Chairman, Young Parliamentarians Forum of Nigeria, Mr. Nnanna Igbokwe, called for more economic empowerment for youths. 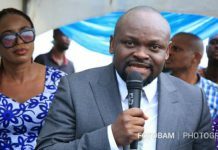 He stated that this should precede the clamour to reduce the eligibility age of young people to participate in politics. Meanwhile, the Speaker of the House, Mr. Yakubu Dogara, has stated that the country had little choice but to diversify its economy from dependence on oil revenue. Dogara was speaking at the Chattered Institute of Taxation of Nigeria Abuja Tax Week on the Dilemma of Improving Tax Revenue in Tough Economic Times. 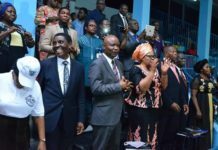 The Speaker told his audience how the House initiated a sectoral debate by ministers on the state of the economy to underscore the importance of diversifying the economy of the country. Dogara also assured the session that administration of President Muhammadu Buhari was working hard to re-engineer Nigeria’s economic development. 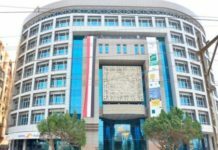 “To do this, the government deliberately tinkered with the federal budget in order to ensure that it delivers a 70:30 recurrent to capital spending per total budget expenditure in order to boost capital formation in the economy. He added, “Our tax buoyancy does not leave us with any much to cheer as well at -3.21 in 2015 from its previous levels of -0.08 for year 2014. Combined contribution of the states to tax revenue stood at 15.43 per cent of total tax revenue with Federal tax revenue making up 84.57 per cent for year 2015. “This was only a 2.38 percentage point increase in States’ Internally Generated Revenue. Among the states, Ebonyi State tops states with average annualised growth rate in Internally Generated Revenue of 98.59 per cent, while Kwara State is lowest with 0.77 per cent. “On the basis of IGR per states’ population, Lagos understandably tops the chart with N22, 954.65 per capita, while Zamfara is lowest with N 652.15 per capita as at 2015.